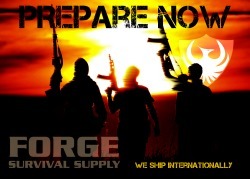 One of the biggest obstacles we have to conquer as preppers is that of long term food storage and preservation. While MREs and other long term food options that are purchased can be great, they can be expensive per serving and limiting in the options available. 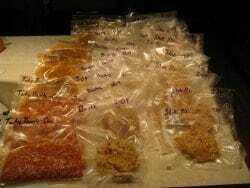 A few years back I decided to research my options for Do It Yourself food storage and decided to purchase a Food Saver vacuum sealer and I have been very happy with the results and variety it has given me. I decided on a Food Saver vacuum sealer because of all the good reviews and the quality of the product. Air and water are the two main factors of why food goes bad. Both of these can be greatly reduced when food is placed in a vacuum sealed bag. Another reason I chose this method of food storage is because I wanted to be able to tailor my food options to what I like (DIY). Sometimes MREs and other products like it, sit on the shelf until they go bad. However, if you are able to create snacks and menus that you normally eat then you can use the sealed packages whenever you please. While shopping at the store one day I came across a deal on ribeye steaks, which are my favorite, so I bought more than I normally would. The excess steaks I vacuumed sealed up, dated and placed in my deep freeze. Over a year later I came back to take the last ribeye out and was amazed at how well the steak was preserved. It looked and tasted like it had been put in the freezer just days before but it had been stored for over a year. I have used the Food Saver to help preserve more than just food items. 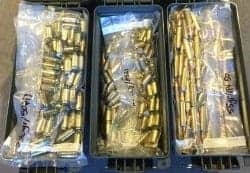 I have placed entire boxes of ammunition into a bag for long term storage in order to decrease corrosion of the cartridges. I have vacuumed sealed medical supplies. The reason for this is that some supplies like bandages are wrapped in a paper like package that over time dry out and the packaging fails. Once the packaging fails, the bandage is no longer sterile and can also become brittle. 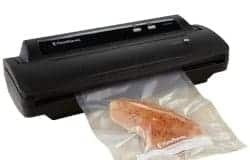 Another great reason to use a vacuum sealer is that if the material that is in the bag is soft, the process of taking the air out of the bag will compress that item quite a bit. This can be a hug space saver. I have taken entire bags of cotton balls and shrunk them down tremendously in size. Cotton balls have a wide variety of uses, most important to me is that they make great fire starters, which is why I choose to seal them up and have some in every pack that I own. I have taken the cardboard centers out of toilet paper rolls and placed two rolls per bag, you don’t want to be stuck somewhere without toilet paper if you can help it! The Food Storage system that I use is the FoodSaver V2244 model which is a best seller on Amazon and can be picked up for around $75. This model also has a side port which allows you to hook up a tube and vacuum seal hard containers. I have not personally tried those containers but have heard good things about them. I think the FoodSaver system is a great setup not only for food storage but the preservation of other materials and it can save you a ton of space when packing your bags for the trail.